I bet I can name one thing you do multiple times a day that’s aging you…Any idea what it is? This seemingly innocent habit can cause irritation, sagging, and dark circles under your eyes. It’s towel-drying your face. Let me explain. Your average bathroom towel is made of pretty rough material, which isn’t gentle on your face. 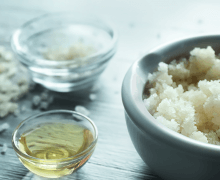 It can strip your skin of its essential oils, making it even drier in the long run. Plus, all that rubbing and tugging on your face can cause dark circles and sagging. And I know I don’t need to spell it out for you, but your towel rack probably isn’t that far away from your toilet. 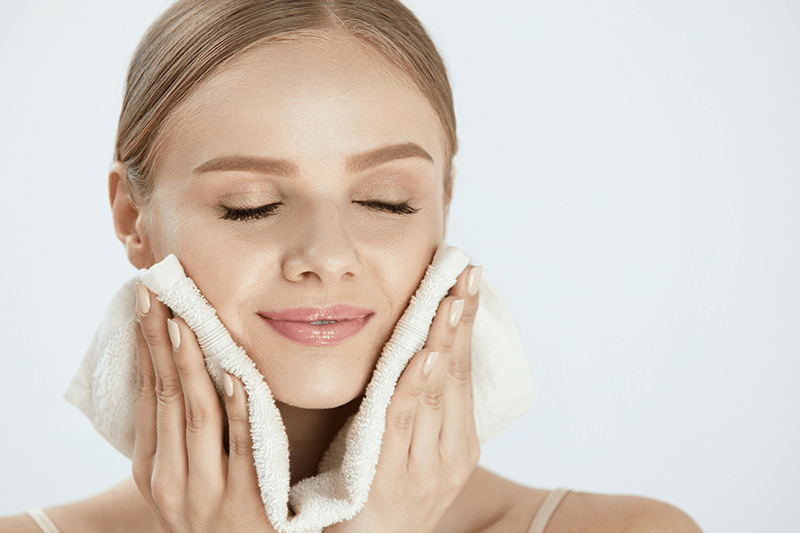 So when that towel comes in contact with your face, you’re allowing a lot of bacteria to get in your pores…Which can cause acne, redness, and other negative side effects. In fact, studies have shown that bathroom towels can be a significant source of bacteria and can even spread germs throughout your home. Don’t dry your face at all! It might sound strange, and it will feel a little weird when you first try it. But all you have to do is wait 10 seconds after you wash your face to start applying your moisturizers. Letting your face “air-dry” protects your skin from the damage of towel-drying… and it also increases hydration. And if your skin is damp when you apply moisturizer, it traps even more water than it normally would! But if you can’t spare the time to let your face air dry after washing, try gently patting your skin dry with a clean bamboo towel. Bamboo towels are made of cotton and bamboo fibers – a material that is much more absorbent than cotton alone. Plus, they’re much softer than traditional towels, so they’re gentler on your skin. Make sure you use a clean towel every time you wash your face. Always pat dry, don’t rub. It’s a good idea to gently pat your skincare products into your face anyway… this will help get you in the habit. Don’t dry your face completely – leave it somewhat damp. This way, your skin is more receptive to moisturizers. But, again, the best way to dry your face is not to dry it at all! Give air-drying a try and you’ll start to see the benefits of deeper hydration. And the next time you reach for your bathroom towel… just remember where it lives. September 7, 2018 By Anna B.